Just Us Girls and Some Color! It’s time for a color challenge as you can see over at Just Us Girls. so I thought I would give it a try. Very simple to do for sure! The paper is mostly old Stampin Up paper that I have had for years, but love! from Verve. I left the inside of the card blank for now till I figure out where it’s headed. I got that cute flowered embossing folder when I got my Cuttlebug and I just love it! Those flowers really pop…don’t they? The banner punch is also from Stampin Up and I finally got around to using it! 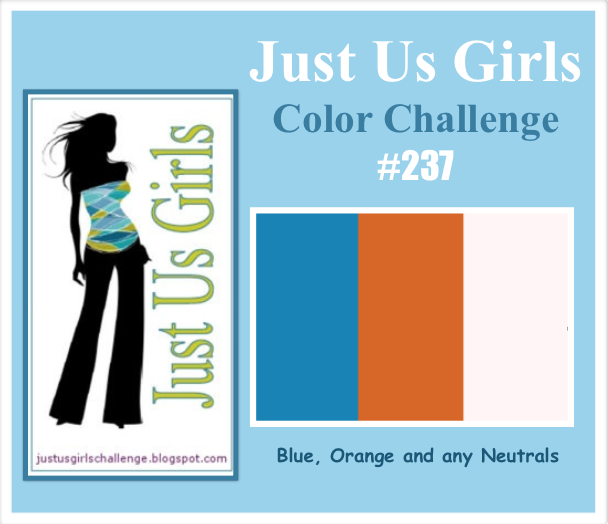 So come on over to Just Us Girls and join us this week for our color challenge! possibly being a Guest Designer with us. Categories: Cards | Tags: Card making, Cards, color challenge, Happy Birthday, rubber stamps, Stamping Up | Permalink. Great job with the colrs — a very FUN birthday card!! What a cute card! I love the file folder look……how much fun is that! Love your flower background and those cute flags! What a sweet card, Nancy! I love the banner and wonderful texture! LOVE that celebration banner! Awesome card! Beautiful card. I love that flower embossing folder also and how you did the file folder card. Great Job. 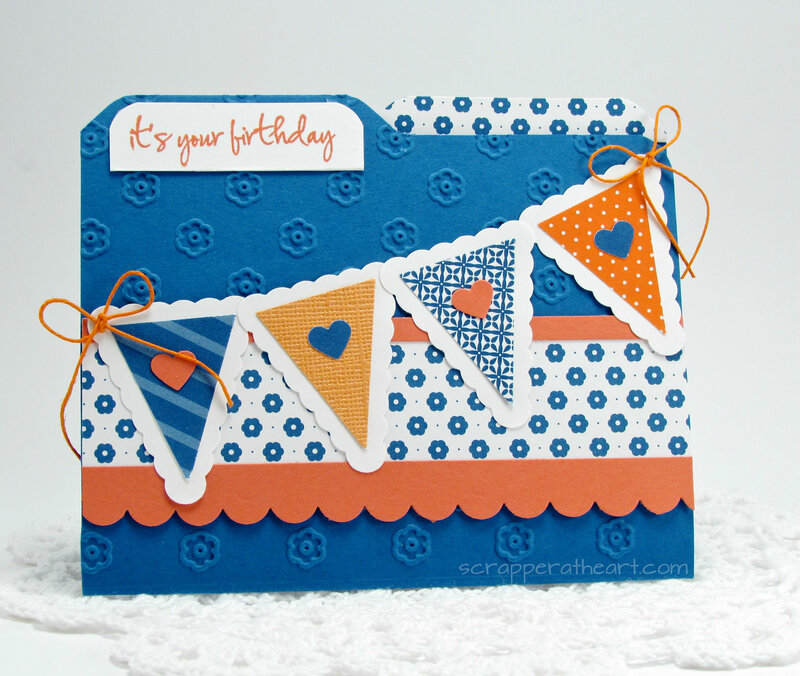 I love this color combo also..
What a fun and colorful card you created. Lots of texture to it too! Nancy, I love this fun design! The file shape is such a great idea. Love the pennants. Great use of the colors. The banners with the tiny hearts is so FUN! The embossing is a super detail, too! Over this, Nancy!